Hi, folks. I’m going to deviate from my usual blogging style in today’s post. I generally open with a hypothetical or well-disguised case, and use the story as a springboard to highlight a relevant point. But today, I’m going to address you, my readers, directly, and speak about myself, kind of from deep in my soul-ish. 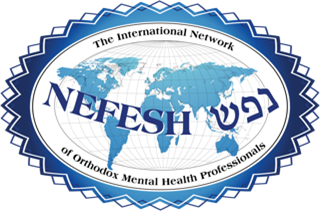 I’m so grateful to you and to Nefesh for providing a forum whereby I know I’m connecting with Jewish sisters and brothers, most of whom I would otherwise not intersect. I’m also grateful to Nefesh for allowing its members access to the data that tell me how many thousands of times these words get clicked, despite the scarcity of public commenting (myself included), so I know they’re not proverbial trees falling in an ear-less forest. I deeply appreciate the private emails and phone calls that come through this blog- confiding, questioning, challenging, debating, thanking, encouraging, social media shares, and of course the professional opportunities it has precipitated. But honestly, the most meaningful feedback I get is when I hear someone has found it personally helpful. Work, of any kind, brings with it the choice to stagnate or elevate. Writing has always been a great joy for me- I love words and expression and people and personal transformation and yammering. In early adulthood, I became a teacher because I, oh-so-originally, wanted to “make a difference.” (Plus- people have to listen to you “when it might be on the test.”) For just over a decade it was deeply fulfilling, and I used to constantly rumble with my own arrogance, asking myself: Am I doing this for the right reasons? Am I just sublimating the limelight? Is this ever just narcissism dressed up as mentorship? Why are they looking at me like that? Am I wearing my sweater inside-out again? I endeavored to be someone for whom the message trumped the medium, sometimes succeeding, other times less so. I would pray to be the sort of teacher/ speaker (and subsequently, therapist) who cared more that the content delivered would make meaningful impact than that my name would be remembered. That if given the choice: “Your listeners could be impressed by you, but then not really be helped by the words, OR your listeners will dismiss you personally, but the ideas will help them”- I would opt for the latter. And again, some days I pass that test better than others- (the ego can be stubborn that way, and gold stars are so shiny). Doing therapy was great; for one thing, my clients were not forced into my office by truancy laws. We could (again, I hope) zoom in and dig up core issues that individuals and couples were grappling with, sort them out, and then send them on their blissful way- healthier, happier, and more empowered. (Plus I could now afford to pay the orthodontist.) Yet, there are only so many hours in a day, only so many folks who can afford the time, money, and vulnerability required to pursue private therapy. And I guess this is also a prayer: Dear G-d, please allow my work and words to bring light to dark places, to bring warmth to cold hearts and homes. Please allow my spirit to be humble and sincere, and my motives to be pure. Give me the confidence and wisdom to find the right language and tone to promote wellness, happiness, humor, and spiritual consciousness, and balance it with the perspective and humility to always remember that it all comes from You; I’m just lucky to be the dispensable delivery gal.